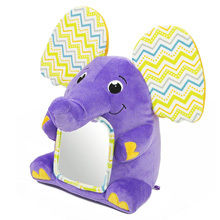 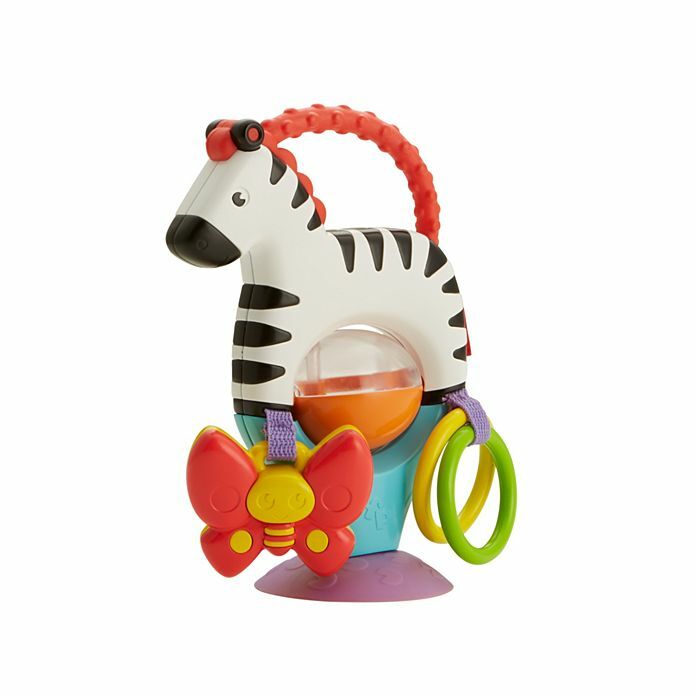 Attach this adorable zebra friend to your baby's tray and let the exciting sensory play begin! 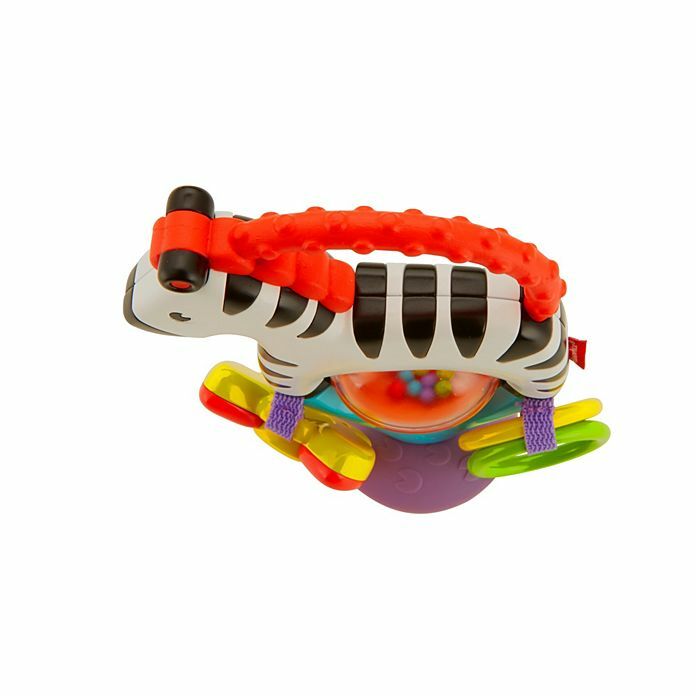 With its high-contrast stripes and teetheable handle, bat-at rollerball with rattle beads, and dangling butterfly and clacker toys, the Activity Zebra will keep your little one busy as a bee. 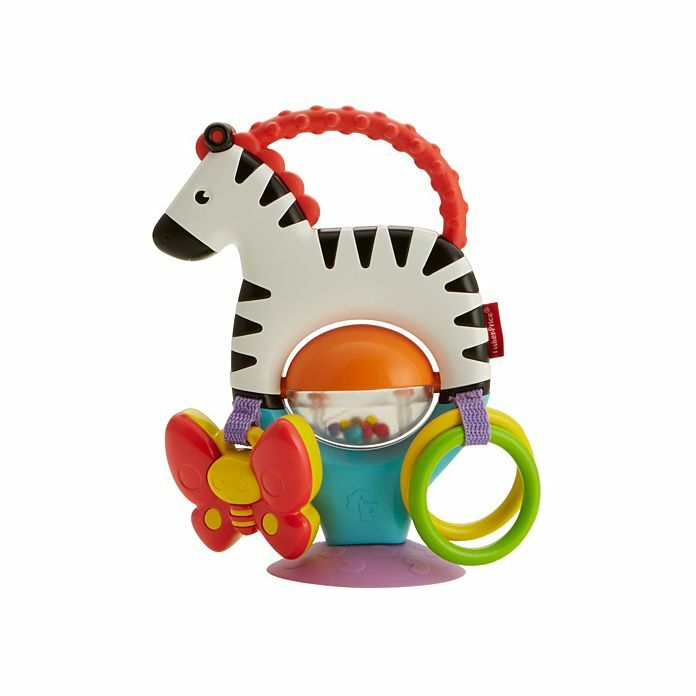 Where development comes into play™ Gross Motor: Reaching for and batting at the zebra and its hanging toys helps get your baby's gross motor skills going and growing! 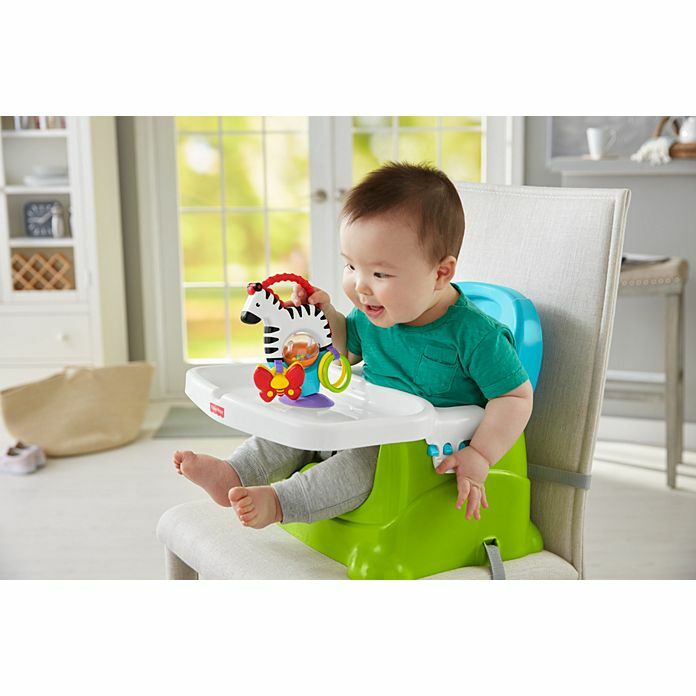 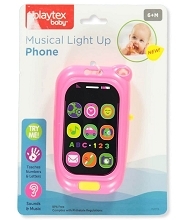 Sensory: High-contrast colors, a variety of textures, and fun rattle sounds stimulate and engage your baby's developing senses. 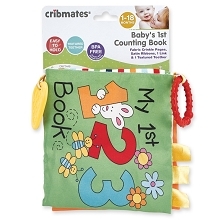 Curiosity: There's so much for your baby to discover—from the zebra's fun rattle beads to the dangling clackers and butterfly pal!